Globalisation is a timely and controversial topic. 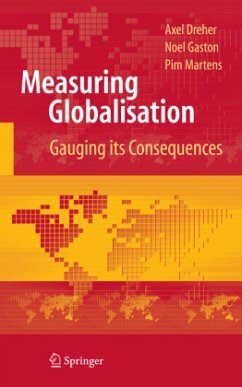 Against the chorus of globalisation's proponents and detractors, the authors propose an approach for measuring globalisation and its consequences. Undertaking a comprehensive review of the literature on globalisation and using data from the MGI and KOF indices, the well-respected authors build a framework for defining globalisation and analyzing the relationships among economic, political, and social variables.